The dinnerware set includes 4 pieces 10-3/4 inch dinner plates,4 pieces 9 inch dessert plates and 4 pieces 6-3/4 inch soup/cereal bowls. It's an ideal set for a small family as it will cater to your dining needs with ease. 3.Perfect size for dessert,rice,fresh salad,snack,ice cream,sweets,etc. 4.The perfect gift for both adults who need a portion control and kids. Hware is backed with a 100% money-back guarantee. We want you to be fully satisfied with your purchase or receive your money back. This dinnerware set includes: 4 pcs 6-3/4-inch creal/soup bowls, 4 pcs 9 inch dessert plates, 4 pcs 10-3/4-inch dinner plates. 12 piece dinnerware set are great for RV, camping, picnics, tailgating, any indoor and outdoor activities. Durable Break & Chip Resistant Melamine Material. Dishwasher-safe and Lightweight,easy to hand wash. 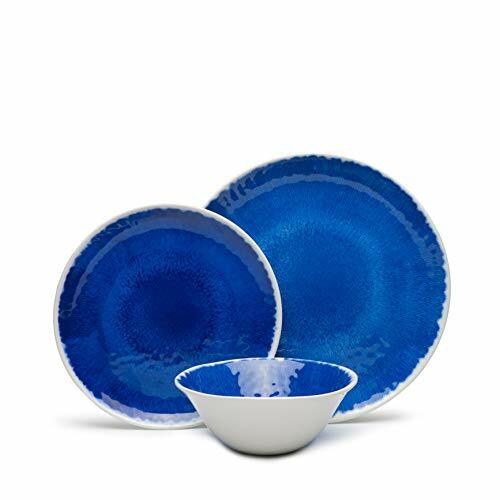 If the dinnerware set are lost, damaged or you have any issue, contact us directly and we will respond to you within 24 hours! If you have any questions about this product by Hware, contact us by completing and submitting the form below. If you are looking for a specif part number, please include it with your message.